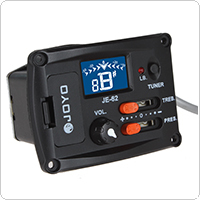 The JOYO JA-01 guitar amplifier offers two different sounds and is portable with enough output to bring outside. 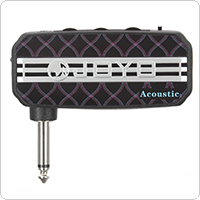 JA-01 is really the most feature-packed and tone-VOLUME-enable little amplifier on the market. 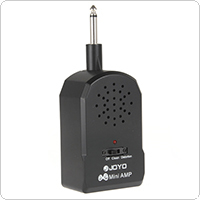 This joyo amplifier features clean and distortion settings. MP3 input jack. Give you great experience. With this kind of mini & powerful guitar amplifier in your hand, you can enjoy classic ac30 top boost sound through the headphone, and due to its mini design, you can move freely while playing, and rock out wherever you are! It can be used very conveniently and easily, all you need to do is to connect it with a proper headphone, then you have the experience of special enjoyment. 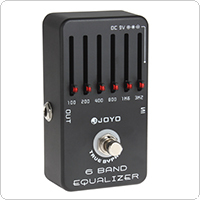 This JOYO JE-62 EQ equalizer tuner is specially designed for ukulele which is sensitive and accurate. The tuner is powered by two CR2032 batteries which are not in the package. The ukulele equalizer is light weight and convenient to carry. 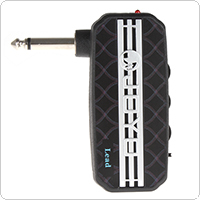 With this kind of mini guitar amplifier in your hand, you can get acoustic sound from your electronic guitar, furthermore, it enables you to move freely while playing, and generally to rock out anywhere! This guitar amplifier is small but very powerful, and you can use it very easily, all you need to do is to connect it with a headphone, well, just plug and play! 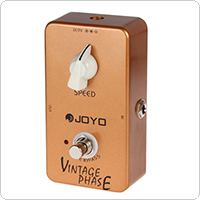 This vintage phase guitar pedal that can be controlled only by one Speed knob has the ability of recurring the sound of classical phase of age 70, and furthermore, with the true bypass design and harmonic nuances galore feature, the sound created is very beautiful and intricate. We absolutely believe that you will love this gorgeous item undoubtedly if you are one of Van Helen's fans! 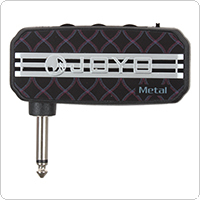 Due to the 6-band equalizer that each band of it has a 18 Db range to plus or minus and the true bypass, this kind of JF-11 guitar pedal help you to find your favorite tone very easily. The frequency bands include 100Hz / 200Hz / 300Hz / 400Hz / 800Hz / 1.6MHz / 3.2MHz. With this kind of mini guitar amplifier which features warm overdrive sound through the headphone in your hand, you are able to move freely, and of course, you can rock anywhere! Although this guitar amplifier is small but it's very powerful, what's more, you can use it very easily, all you need to do is just connecting it with a headphone, then enjoy this excellent experience! 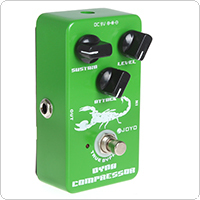 With the true bypass design and the power-statement-indicating LED light, this kind of JF-10 guitar pedal is able to minimize the tone loss, and it is suitable for the Classic Ross representation. Via the help of the 3 adjusting knobs Sustain, Attack and Level, you can control the delaying time of compressing, the starting time of compressing effect and the output level respectively. 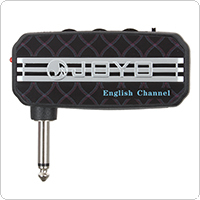 This kind of English channel mini guitar amplifier can generate classic ac30 top boost sound through the headphone in your hand. And because of its mini design, you can move freely and generally rock out anywhere while playing! Being small and powerful, it enables you to use it very easily, what you need to do is to connect it with a headset. 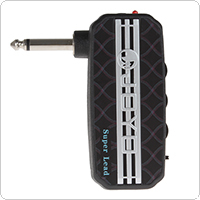 This kind of lead guitar features three effects, delay effect, clean effect and distortion effect. With this kind of mini guitar amplifier in your hand, you can move very conveniently while playing, and rock out anywhere with guitar playing! 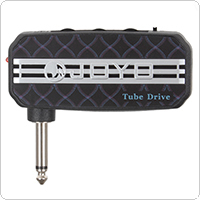 This guitar amplifier is small and powerful, and you can use it very easily, all you need to do is to connect it with a headphone. This kind of mini guitar amplifier enables you to catch the feeling of hi-gain tone of metal sound through the headphone, in addition, you can move freely while playing, and generally rock with your guitar! Unlike the cumbersome connection device, this guitar amplifier is very small and powerful, its use is very easy, all you need to do is to attach a headphone to it. You will get the unique guitar playing experience after you have got one of these products.